Sparkle promises to be a dazzling show. 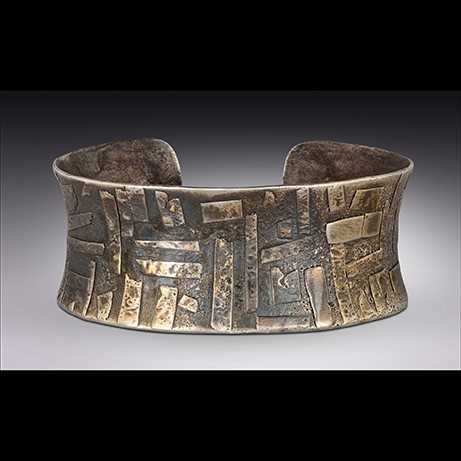 The front gallery will become a varied display of jewelry from award winning jewelry designers. There will be precious metals, semi-precious stones, and glass. This unique exhibit will offer you a jump start on your holiday shopping, or a chance to add to your own collection of personal pieces. Several of our artists will be Claudia Melchiorre, Helga Mezey, William Hair, and Susan Wachler. Their work is of the highest quality and is sure to catch the eye of the fashion sensitive buyer. You are invited to the First Friday Opening Reception on October 5, from 5:30-8:30 pm. Some of the artists will be present to answer your questions. Come, enjoy light refreshments and early holiday shopping.